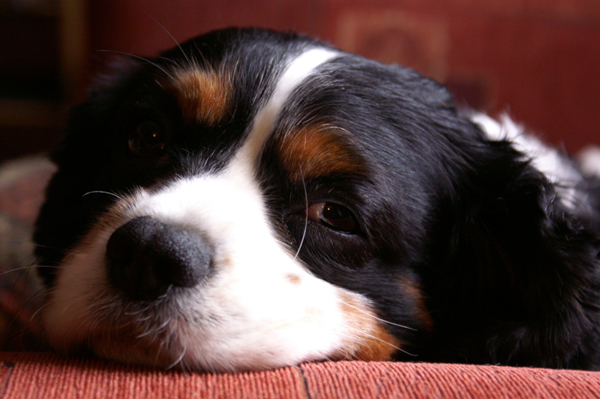 Veterinarians Are People First | Dawg Business: It's Your Dog's Health! I am working on a guest post about choosing a veterinarian. It made me reflect on all the veterinarians we've worked with—and it had been quite a few. There are some important objective criteria to consider when choosing a veterinarian for your dog. However, veterinarians are not machines—they are people. Each of them is a unique individual. Michelangelo, Einstein … it was not their education or their affiliations what made them who they were. Every veterinarian is a person first, then a veterinarian. What kind of person is your veterinarian? Their education might be the same, the information out there is available equally to all of them—it is what they do with it what makes the difference. Do you prefer an experienced old-timer or a young vet who won't have that much experience but is more likely to be up to date with all the new treatments and techniques? Well, I can tell you that it is not as simple as that. Jasmine's present vet is an old-timer and he is on top of all the latest research and treatments. I haven't stumped him yet, and, believe me, I ask all kinds of questions. Jasmine's earlier vet was a young one and couldn't care less. He was the type who believed that since he's made it through the vet school he now knows everything. Jasmine's first vet was an experienced practitioner, working in a reputable clinic. He seemed to know his stuff. Yet he failed to recognize Jasmine's food allergies. We started looking for a new one because we felt that our frequent vet visits were fruitless. More importantly, we felt that it became just business for him; there was no indication that he actually cared about his patients. The vet we switched to came with a great recommendation from our friends. As we heard all the stories about how wonderful he was, we were very excited to get him as Jasmine's new vet. He did seem to care about Jasmine and was very nice. And yet he became a source of great disappointment. Our friends thought he was as amazing as they come. At the beginning, we did too. But he didn't listen to what we were telling him and his effort to keep things price-friendly for the clients led to cutting corners where they shouldn't have been cut. What is your prospective vets' main priority? Is it an academic interest? Is it personal success and image? Is it their ego? Is it looking good in front of the clients? Is it just business? Or is it well-being of their patient? We've met them all. Intellect, education, those are all important things. Experience is great, but it can work both for or against your dog. Attitude, however, is what will make the difference when it really matters. If your vet really cares about his patients, they will keep up with newest research and treatments. They will listen to what you're saying. 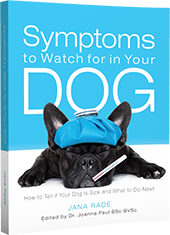 They will take your dog's symptoms seriously. They will discuss things with you. They will consider what you came up with during your research. They will seek a second opinion when unsure. They will have the drive to do everything that needs to be done to make your dog well. We dealt with vets who lost the motivation to work their way to a diagnosis in a complicated case and were satisfied with merely dealing with the symptom(s). We dealt with vets who made up their minds about things before hearing out what we observed in our dog. We dealt with vets who knew it all and nobody, particularly not dumb owners, could tell them anything. We dealt with vets to whom their professional pride meant more than their patient. We dealt with vets who'd jump out of their skin at the notion of looking for a second opinion. In the end, attitude is what can make it or break it. We love and cherish Jasmine's present vet. Do we agree on everything? No, we don't. Is he infallible? No, he isn't. But I know he will bend over backward for Jasmine's benefit. Aptitude is important. But aptitude without attitude is useless. 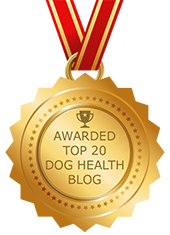 When looking for a vet for your dog, consider all the objective criteria. But don't forget to look for attitude. Does Your Vet Listen To You? Help! My Dog Is Purple! Veterinary Drive-Thru: Coming Soon To A Veterinary Hospital Near You! Thanks for sharing your best advice about choosing a vet - wonderful! Hi! Sam here from the blog hop! I moved to my favorite house in the country last summer, but that also moved me away from my favorite vet! It has taken me a little while to get used to the new vet, but I think she and me will become good friends (She smells like horses). This is a very helpful post, many thanks. I've seen more vets than this pawed one can count! Finally, my Human found THE One! My Human likes her 'cause she didn't hesitate to refer me to a specialist and she was interested in learning from him about my problem. I like her too. Hi Cherie. You're doing such a wonderful stuff! I do follow your blog, I'll help any way I can. smelling like horses is a good sign :-) See how she talks to you and how she listen to your mommy when she's telling her things about yout. glad you finally found THE ONE. It is not always easy, is it? Wasn't for us. But now we have THE ONE also. Jasmine loves him, in spite all she's been through. She thinks he's bee's knees. The other day he wasn't happy and it made Jasmine sad also. It drives me crazy not to know what's wrong with my pet. I have to have answers and I realize I have to have a vet who knows how to find out ... and wants to find out. Even if it's "too late" I want to know why my pet is suffering, even if I only get the answer at necropsy. Hi Amy, so sorry about your pet, I know how frustrating that can be. Do seek a second opinion, or a third if must be. You might also want to try an alternative practitioner - holistic or TCVM. What is bothering your pet? I have just switched Vets - it feels like breaking up with an old friend. I loved my old one, however I learned where they choose to practice affects my choice as well. New office meant; new vaccination policies, less availability, and well about the billing... When looking for a new one important things I looked for where; ones who are open to holistic approach as well, confident enough to value/refer to a specialists and who's egos aren't so big they willingly do added research when treating an disease new to them. Hi Miss Kodee, those are important criteria. Sorry you had to part with the vet you liked. It's too bad that the new clinic he went to led to losing your relationship with your old vet. With the vet who was so highly recommended by our friends, I also wondered to what degree changing a clinic affected a change in him.